Expertly crafted from Royal Oxford cloth, the elegant Aiden is fit for a modern prince. Incredibly soft to touch yet impenetrably opaque, and finished with the subtl... read more Expertly crafted from Royal Oxford cloth, the elegant Aiden is fit for a modern prince. 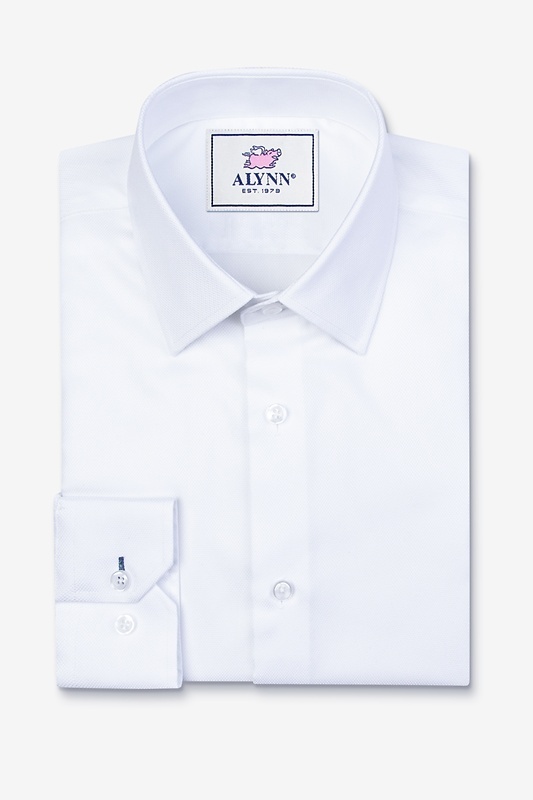 Incredibly soft to touch yet impenetrably opaque, and finished with the subtlest sheen, this genteel shirt is perfect for your most important occasions. It looks so sharp your plus one might need a bandaid. 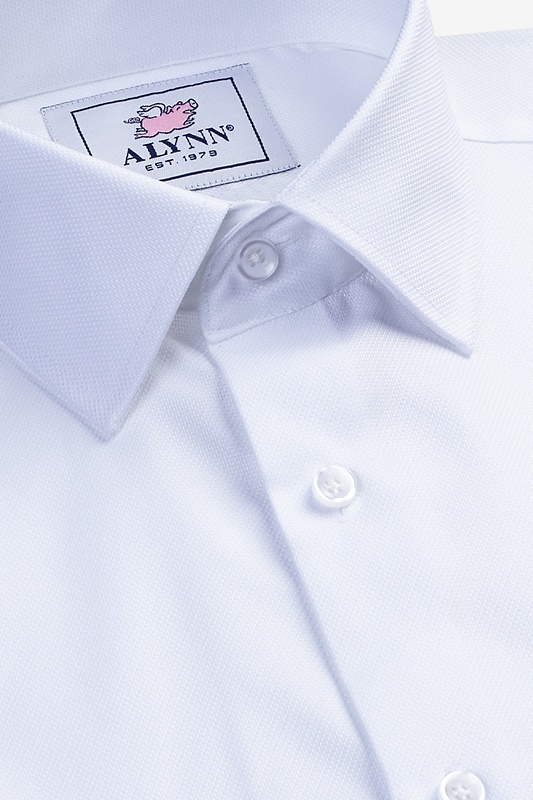 Aiden’s features: Flat-felled seams Reinforced side seam gusset Double-layered back yoke Contrasting buttonholes What's a "spread collar" you ask? Spread collars are the modern standard. They're universally flattering and can accommodate medium-sized tie knots. 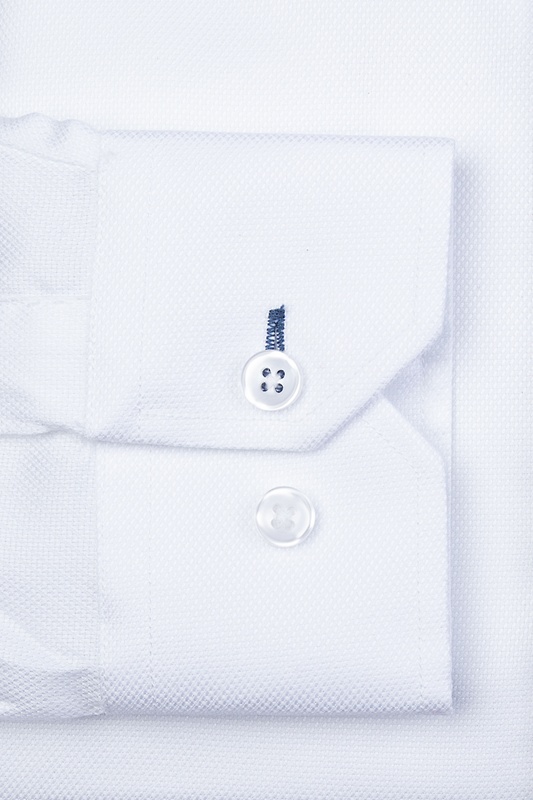 Well-loved around the world, spread collars are great for both formal and casual settings. Our Slim Fit is slightly leaner in the chest, waist, and sleeve for a figure-friendly, trendy look.